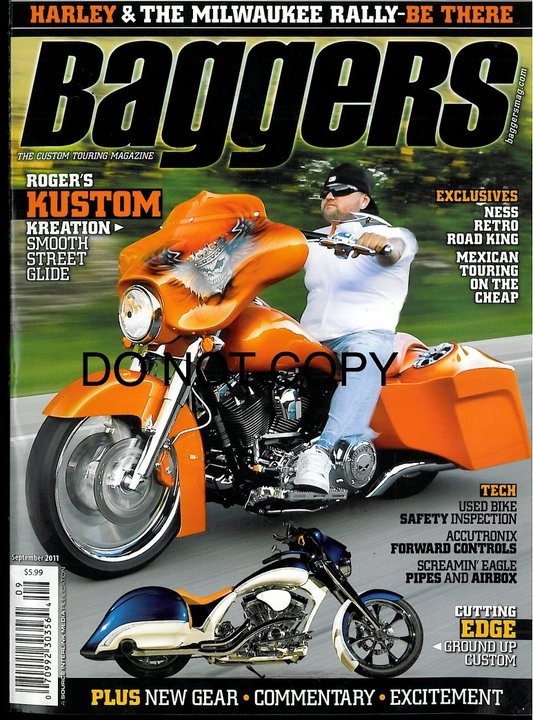 Featured in hot bike Bagger September 2011. Cover feature with an 8 page spread. 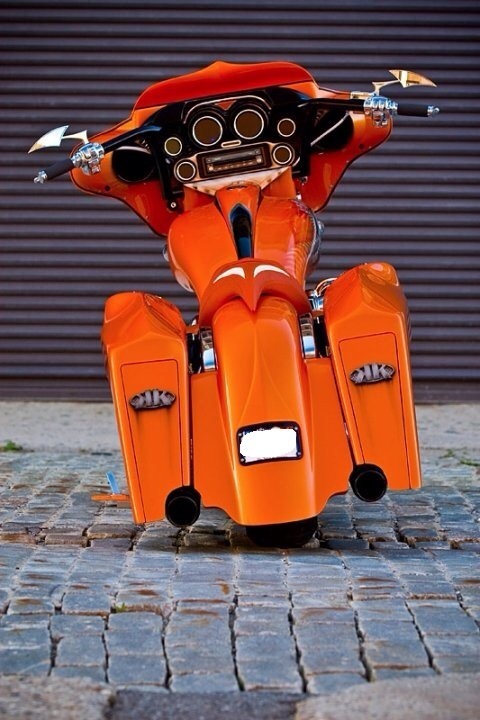 The bags are a combination on sinister industries bags and side cover along with Bagger concepts loud lids but all molded together. We made rear opening doors from acrylic to mount lights internally to shine out. 21″ renegade aspen in chrome. Rinehart mufflers with v&h dresser dual header pipes. PCV. Screamin eagle heavy breather intake. 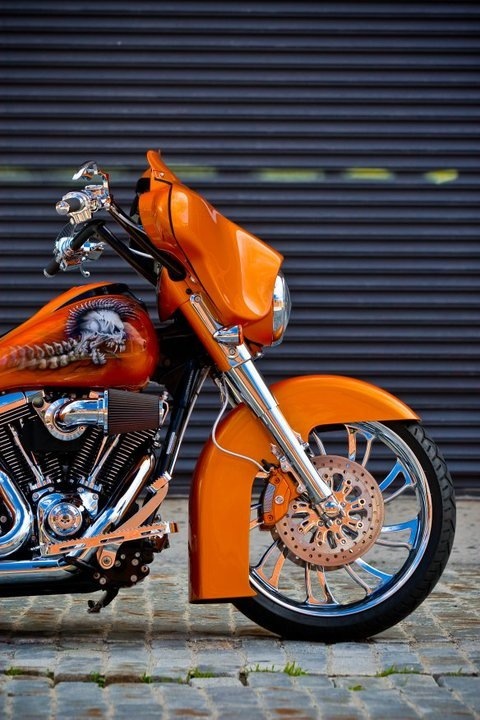 Sinister industries rear and front fender, stretched tank, dash kit, lower dash kit with factory ignition eliminator, windshield, chrome saw blade floor boards, 12″ bars, and license plate frame. 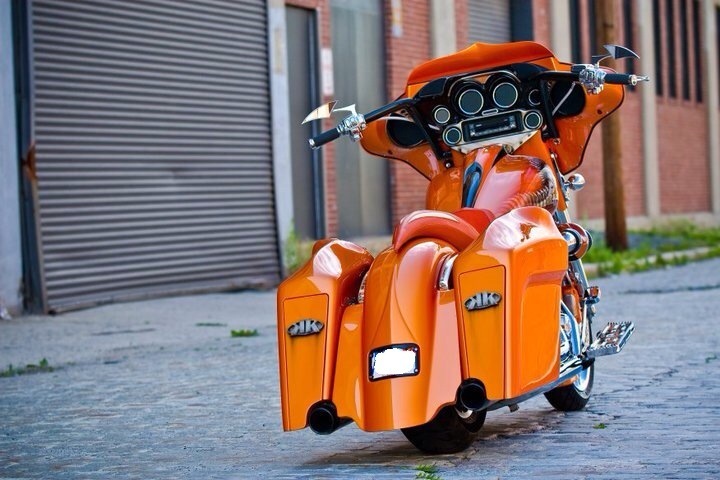 Custom made seat pan and material used was tangerine genuine leather and white and tangerine stingray imported from Thailand. Arnott rear Air ride. 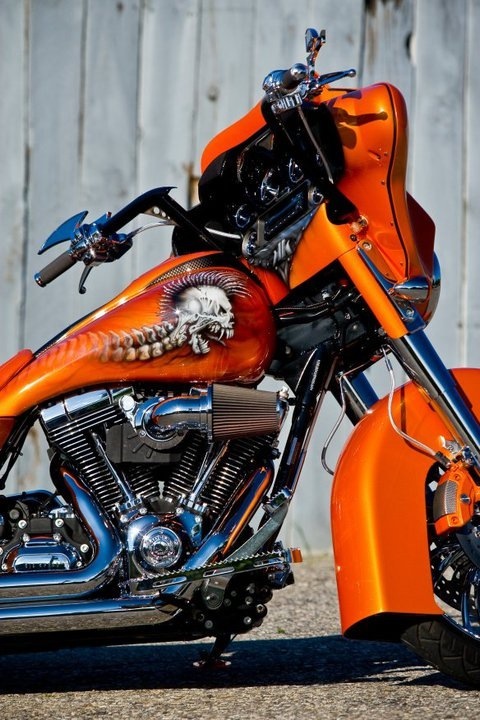 Chrome front end. Painted to match calipers. Lamborghini orange pearl paint. 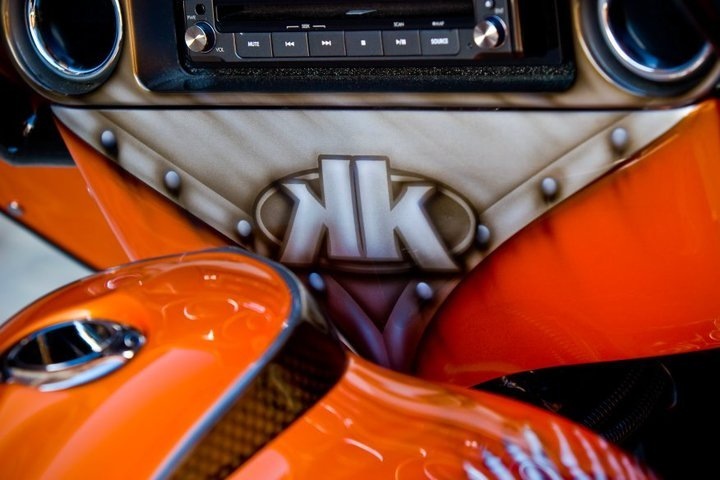 Clarion flip up deck with mb quart q series component speakers up front and Bagger concepts Amp and rear speakers. Dakota digital gauges. Front lowering springs 2″.